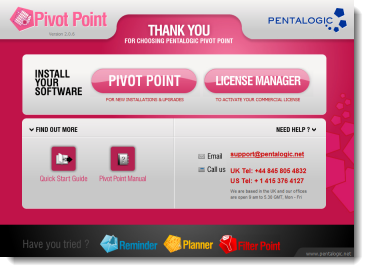 If you are upgrading from PivotPoint v1 first follow the upgrade instructions. Select the PiovtPoint button to install. You may also wish to also install the License Manager at the same time.